Looking for the perfect gift for a babies First Christmas? Here are some ideas that will suit any recently born babes or those that may even be turning one soon. Most will last longer that 2014 – meaning they can come out year after year as a special reminder of this first festive milestone. This soft book is perfect for small hands and can include up to 16 images and a name on the cover. Perfect for all this first images from babies first year. 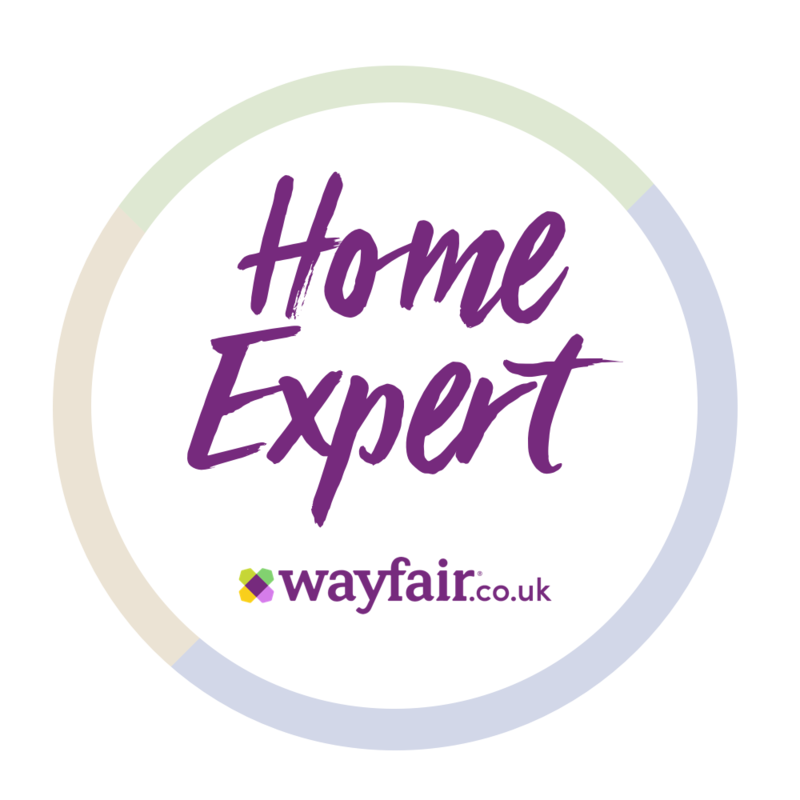 It comes in a variety of colours, has a ribbon tie and is machine washable too! 2014 has been the year of the Penguin… so, a soft one is a must. Miss Marnie had a first Christmas bauble given to her and it takes pride of place on the tree and I’m sure it will for many years to come. A beautiful cotton knitted shawl with cashmere that will brighten up those first Christmas pictures. 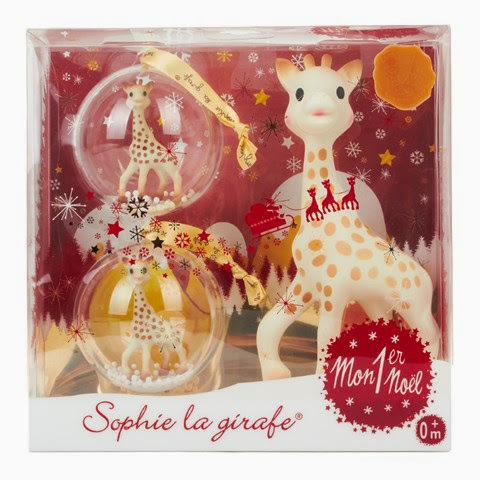 The must-have baby teether makes the ideal present – and this lovely gift set comes with 2 baubles filled with mini Sophie’s in the snow. A ‘Maximillian the Moose’ bib adds the perfect festive touch to a plain white baby grow – perfect for newly born babies (as those novelty suits make them really hot…) and fits up to age 3. * Why not present it in a personalised Christmas sack? Saves wrapping! I love these present sacks with the first year date stamped one. 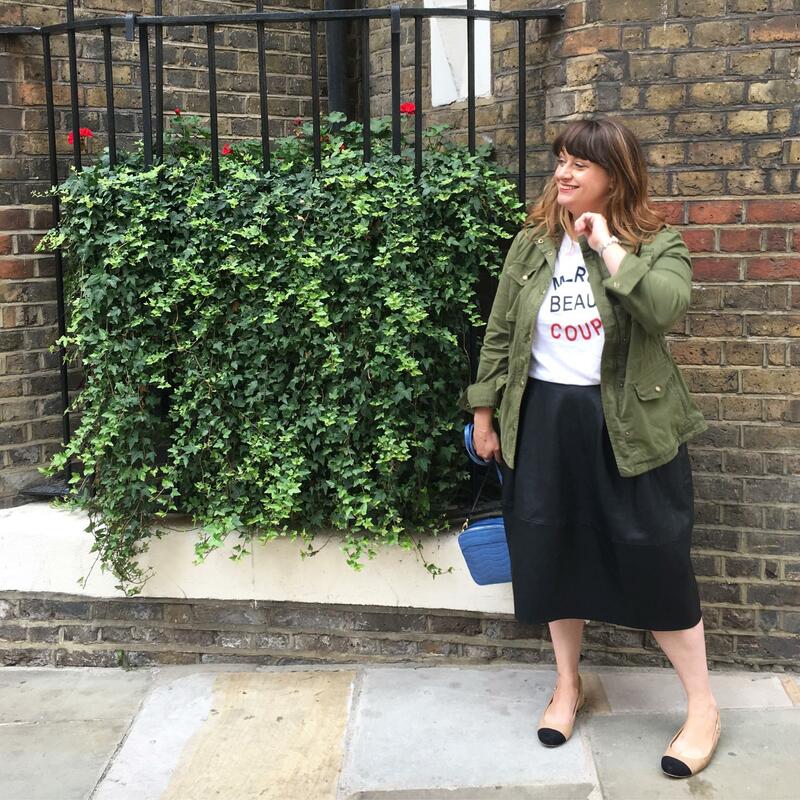 It would be a lovely way to present any gift and am sure it will come out every year after that – making it such a lovely keepsake too. 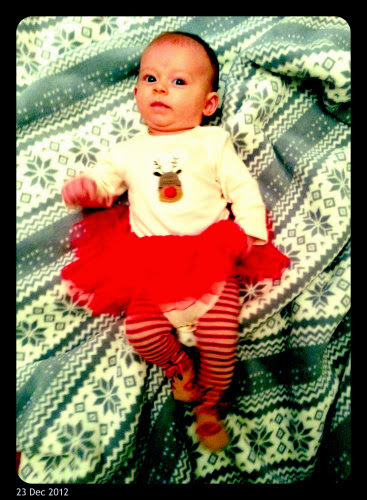 AND, what about Babies First Christmas Dinner? 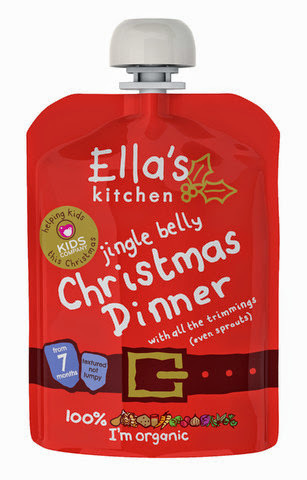 If your baby is weaning this Christmas look out for this Limited Edition Ella’s Kitchen pouch.